Two of my biggest fears associated with aging are Alzheimer’s and dementia; I’m sure many of you feel the same. I’ve always believed that there are still no guaranteed ways of preventing these diseases, and I had thought that, generally speaking, they were just part and parcel of getting older. But some new research I came across in this area is challenging these contentions of mine. Turns out, one in three cases of Alzheimer’s may be preventable. Much like obesity, heart disease, hypertension, and type 2 diabetes, doctors are saying Alzheimer’s can be prevented through lifestyle choices. So if you keep your body healthy, your brain will follow. The research team from the University of Cambridge indicated that age remains the number-one risk factor for Alzheimer’s, but lack of exercise, diabetes, smoking, mid-life hypertension, and mid-life obesity all play a role. They figured these modifiable lifestyle factors are responsible for one-third of all Alzheimer’s cases, but also determined that by reducing each of those risk factors by as little as 10%, nearly nine million cases could be prevented by 2050. Nine million! So once again, it seems like adopting a healthy lifestyle is the best way to fight off disease. By boosting physical activity, you can reduce your risk of obesity, heart problems, diabetes, and now, possibly Alzheimer’s. To lower your chances of Alzheimer’s, get started today in following a healthy lifestyle. 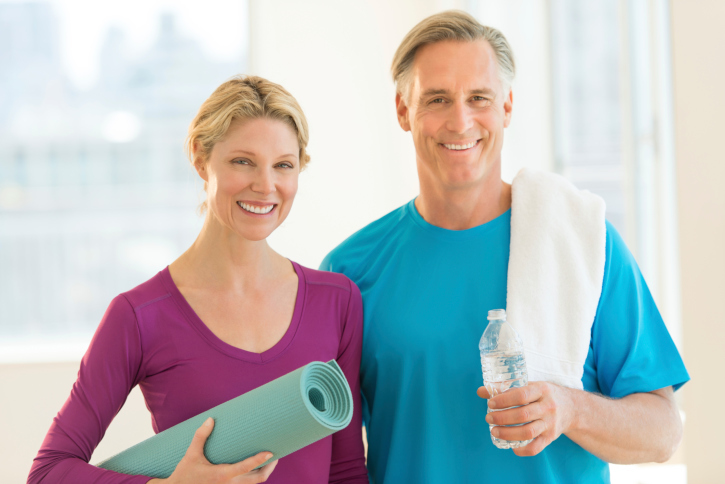 If you put less stress on your body by maintaining a healthy weight, you can ease the aging process and lower your chances of experiencing many of the health problems traditionally considered to be age-related. Eat right, stop smoking, and find ways to get active to reduce the impacts of aging. It will benefit your entire body, from head to toe! “One in Three Alzheimer’s Cases Preventable, Says Research,” BBC News web site, July 13, 2014; http://www.bbc.com/news/health-28262878. Norton, S., et al., “Potential for Primary Prevention of Alzheimer’s Disease: An Analysis of Population-Based Data,” The Lancet August 2014; 13(8): 788–794.